1.01 The purpose of this policy is to outline how and when equipment and furniture are disposed of at Laurier. 1.02 The re-use of equipment and furniture is encouraged, where appropriate, as it helps reduce operating costs, and is environmentally responsible. Further, the disposal of certain types of equipment may be subject to legislative or regulatory requirements. For example, IT equipment and devices often contain parts, chemicals or sensitive or confidential data which must be disposed of in a specific manner. 2.01 IT equipment and devices: any computer equipment or peripheral devices including, but not limited to, personal computers, servers, hard drives, laptops, smart phones, tablets, keyboards, backup tapes, mice, speakers, printers, scanners, and portable storage devices (USB drives, floppy disks, CD-ROMs). 2.02 Surplus: items such as furniture, equipment, IT equipment and devices, and machinery that have reached their maximum benefit for reasons such as wear, obsolescence, and changes in technology or teaching methods. 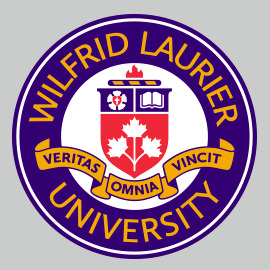 3.01 This policy applies to furniture and equipment, (including IT equipment and devices), purchased by Laurier for any purpose using University funds or trust funds administered by the University and its ancillaries, except for equipment and materials purchased through research grants and contracts, which are governed by policy 11.4.
i. Physical Resources is responsible for the administration, storage, and disposal of all non-IT surplus at the University. ii. Departments wanting to secure furniture and/or equipment from surplus, or wishing to send items to surplus, must contact Physical Resources. Any fees associated with this must be approved by the department’s signing authority. i. Information and Communication Technologies (ICT) is responsible for the administration, storage, and disposal of surplus IT equipment and devices. ii. Departments wanting to dispose of surplus IT equipment and devices must contact ICT. Any fees associated with this must be approved by the department’s signing authority. Some documents below are not currently available online. If you require a copy, please contact Mary Mason at mmason@wlu.ca.